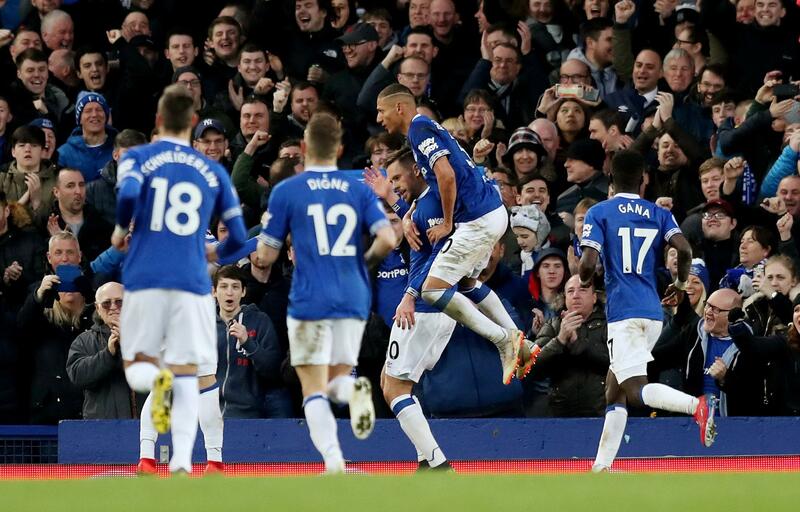 Everton produced one of their best results of the season to dent Chelsea’s bid for a Premier League top-four finish. Richarlison headed them into the lead after Kepa Arrizabalaga parried Dominic Calvert-Lewin’s header into his path. Gylfi Sigurdsson sealed the win, scoring at the second attempt after Arrizabalaga had saved his penalty. Chelsea remain sixth, three points behind fourth-place Arsenal and a point adrift of Manchester United. Eden Hazard went close for the Blues with a curling effort that came off the post and Jordan Pickford made a great save to deny Gonzalo Higuain. The Toffees move above Bournemouth into 11th with 40 points.